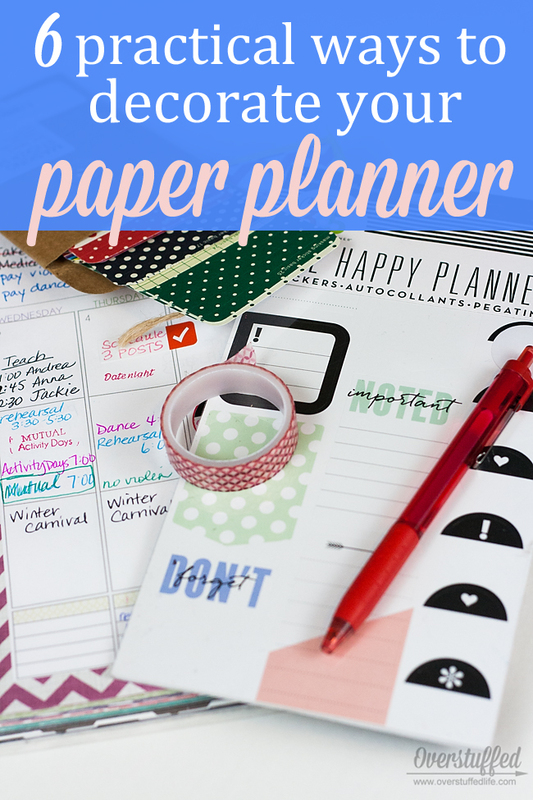 It seems that if people are into paper planners, they are also into decorating them with stickers, washi tape, stamps, and all kinds of other fun stuff. 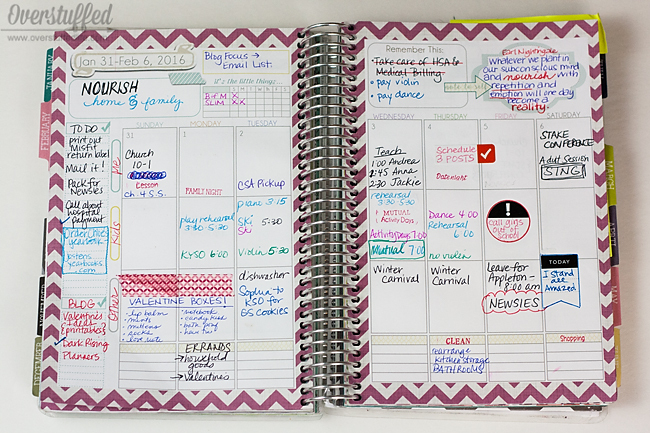 I have many friends on Facebook who share their tricked out planner pages on a regular basis, and I love to see it. I just don't do it to my own planner all that often. Because decorating for the sake of making my planner cuter than it already is seems like a waste of time to me. I'm just too practical, I guess. The fact is, I use my planner to plan. I like that it looks bright and happy, but I don't feel a need to decorate it. 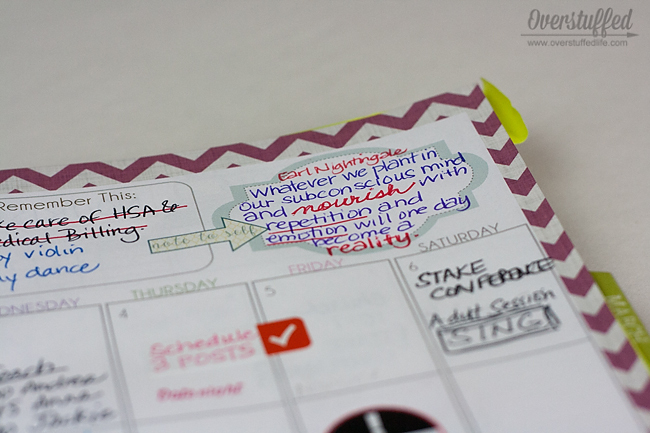 But I still use many of those same decorating planner tools in practical ways to help me plan. 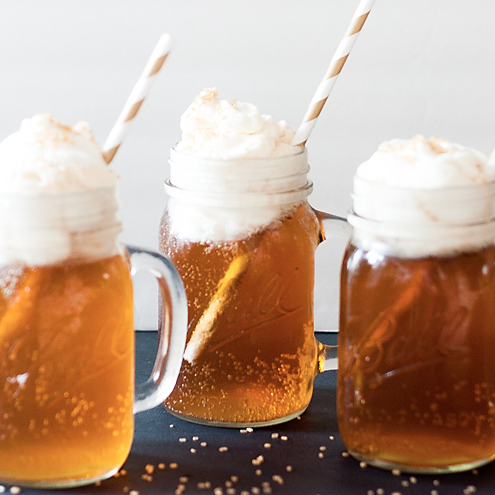 So let's take a look at some of the more popular items and the ways I like to use them. I color code my planner so I know which of my kids needs to be somewhere. I actually do the same thing with the family calendar in our kitchen. This saves me from having to write their names, because I always know that Bria is green, Chloe is aqua blue, and Sophia is pink. This color coding system actually extends to things like hairbrushes, shower baskets, and water bottles. It makes life a whole lot easier! My favorite pens to use are these PaperMate InkJoy pens. They are a really great price--only $2.99 for a pack of 8!--and they don't bleed through the paper, which is what matters most to me. 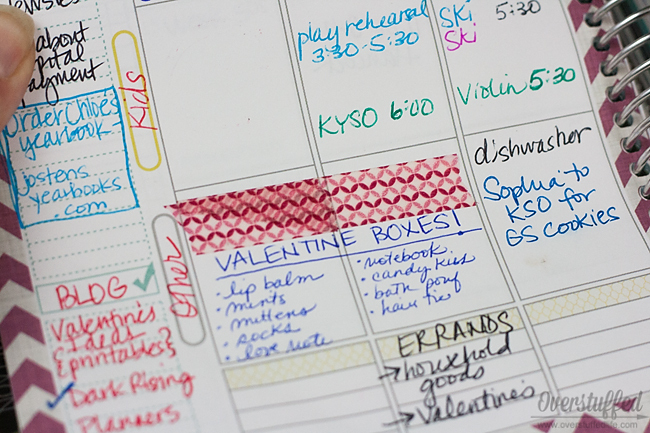 They are not erasable, and sometimes I think I need to look into the Pilot FriXion gel pens that so many planner buffs love because they are erasable. Apparently they are amazing, though they are a bit more expensive--$11.99 for a pack of 8. The erasability of them is probably totally worth it, though. You can see on my planner up there where an erasable pen would have been nice to have on Sunday. Aside from just color coding, I also like having lots of colors to choose from just so things stand out. It's hard to look at a planner that is written in all the same color, because I don't know how to process what is more important. It's nice to use the different colors to highlight my word of the year, my weekly/monthly goals, and write down an inspiring quote or two. I've used a few different planners that came with fun stickers (The Home Executive Planner and the Erin Condren Life Planner, specifically). I liked having something like stickers to delineate the extraordinary from the ordinary. Having a sticker for birthdays, for instance, made it really pop out. I think the Erin Condren stickers were my favorite, because they were essentially labels and weren't overly cutesy. I recently bought some Happy Planner "don't forget" stickers to try them out. I liked that they had some different designs in the pack and all of them had things like checkmarks or exclamation points so you could personalize them. I don't always love the stickers that are preprinted with various activities because I may or may not actually use them. I liked that I could use these stickers to write down various things I need to remember in my planner so that they stand out to my eye when I look at it. I will fully admit that I don't totally get the washi tape craze with planners. I have a bunch of washi tape, though, because I used it on scrapbooking pages. I've tried to use it on my planner, but I don't really love it. Recently, though, I thought I would use it to block off a part of my planner that wasn't being used in order to write more lists. Because I like lists a lot, and sometimes I run out of room in the allotted list space my planner gives me. You can see in the photo above how I used washi tape to block off a section I knew I wasn't going to use on the calendar portion in order to make my list of items for our Valentine's Boxes. I even used washi tape that looked festive for Valentine's Day, so maybe I can earn extra points with the washi tape loving planner girls. I like fairly plain washi tape like this: Geometric Washi Tape. If you like it to be even plainer than that, try this: Rainbow Washi Tape. But many people like the designs to be a bit more fun like these: Floral Washi Tape. Finally, if you don't want to deal with the tape spools, you can buy washi stickers like these (I have these and use them in my planner most often): Merry Windex Washi Stickers. 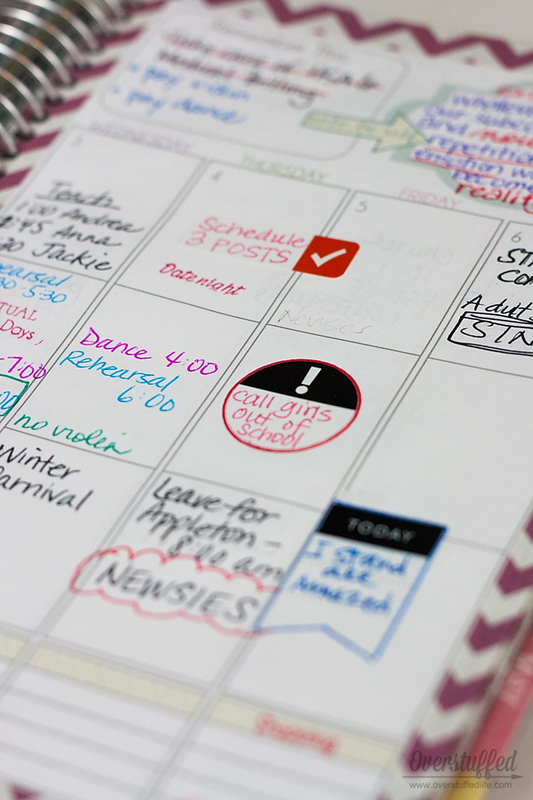 I find stampers to be some of the more practical planner accessories. I like that you can quickly go through and stamp the activities that happen over and over again. 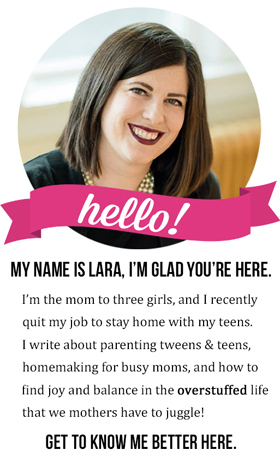 At the beginning of each month I like to take my stampers and stamp out things like Family Home Evening, Date Night, and chore days on every week of the month. 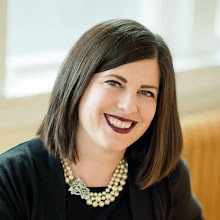 I use the stampers from Mormon Mom Planner, which is where I also purchase my Mom on the Go Planner that I love so much. They have two different stampers--one is more LDS-themed, and the other is pretty "mom universal." 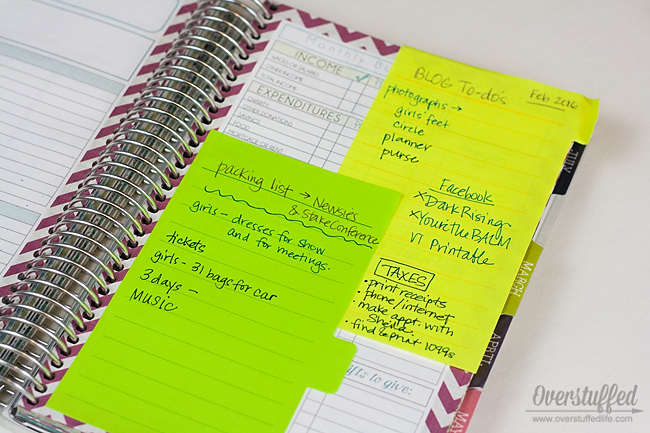 Finally, I love to use sticky notes in my planner. I often use the little flag notes (I use these in music most often) to help me find certain things in my planner. But recently I came across these great tabbed sticky notes. You know me, never can resist a cool office supply! But these are really useful, and I now keep them in my purse all the time. I like that they can cover up some of the specialty pages in my planner that I don't use so that I can use them for my own purposes. And, obviously, my favorite thing about them is that they are tabbed. They are also lined, which is also awesome. Every week isn't always quite as decorated as this one was, but I do sit down with my supplies on Sunday evenings and plan the upcoming week. Whatever feels practical is what I do. 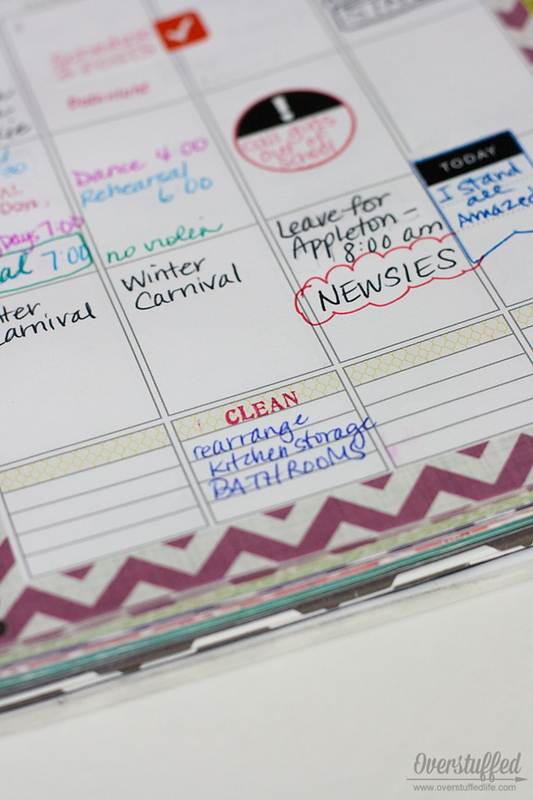 What's your favorite way to decorate your planner?